DOT will present an update on its redesign for Amsterdam between 113th and 162nd streets, which it first showed to Community Board 9 in March. Tonight’s the night to speak up for safer biking and walking on Amsterdam Avenue in Morningside Heights and Harlem. 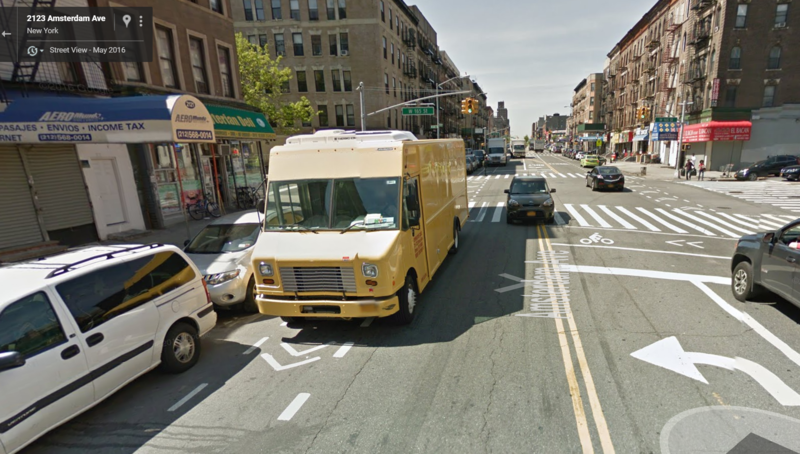 DOT will be showing the latest version of its redesign for upper Amsterdam Avenue at a Manhattan Community Board 9 committee meeting tonight. DOT first presented a plan for this two-way section of Amsterdam in March. The redesign calls for a road diet between 113th Street and 162nd Street, reducing the number of motor vehicle lanes from four to two while adding left-turn pockets and concrete pedestrian islands. Painted bike lanes would designate space for cycling but, unlike the one-way section of Amsterdam below 110th Street, there will be no physical protection [PDF]. Motorists have killed four people walking and severely injured 28 pedestrians and eight cyclists between 2010 and 2014 on this part of Amsterdam, according to DOT. While the design doesn’t include protected bike lanes, similar road diets have substantially reduced traffic injuries on other NYC streets. Since the March DOT presentation, the project has stalled in committee at CB 9, where some members are opposed to it. With the city returning to CB 9 tonight, Transportation Alternatives Upper Manhattan volunteers are hoping to fill the room — and urge the committee to endorse proven safety measures. The meeting starts at 6:30 at 18 Old Broadway, New York, NY 10027. This would make Amsterdam Ave usable. But one question… why does this change start at 113 St? Why will we have a 5-block gap from where the protected bike lane ends ~108 St, and the new bike lanes start at 113 St? Typical NYCDOT, one baby step at a time. 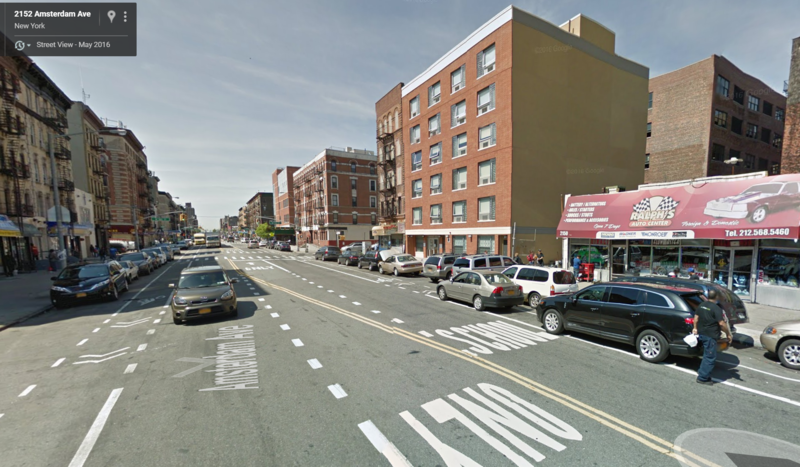 DOT plans to put Amsterdam Avenue north of 110th Street on a road diet. But instead of extending the protected bike lane on Upper West Side north into Morningside Heights, the project calls for painted bike lanes.